Beaudoin, Gérald A.. "Sioui Case". The Canadian Encyclopedia, 04 December 2017, Historica Canada. https://www.thecanadianencyclopedia.ca/en/article/sioui-case. Accessed 25 April 2019. The Supreme Court of Canada ruling in the R. v. Sioui case on 24 May 1990 transformed understandings of treaty interpretations in Canada. Four Huron-Wendat brothers were charged and convicted of illegally camping, starting fires and cutting down trees in Jacques-Cartier Park in Québec. The Supreme Court found that the brothers were justified in arguing that a document signed by General James Murray and the Huron-Wendat chief in 1760 protected their right to use the land for ceremonial purposes and overturned the convictions. In 1982, Huron-Wendat brothers Georges, Régent, Konrad and Hugues Sioui, along with other friends and family members, were camping in the forest in Jacques-Cartier Park in Québec, outside the boundaries of the Lorette Reserve, where they lived. (See also Reserves.) The party cut down small trees to make fires and tent poles. 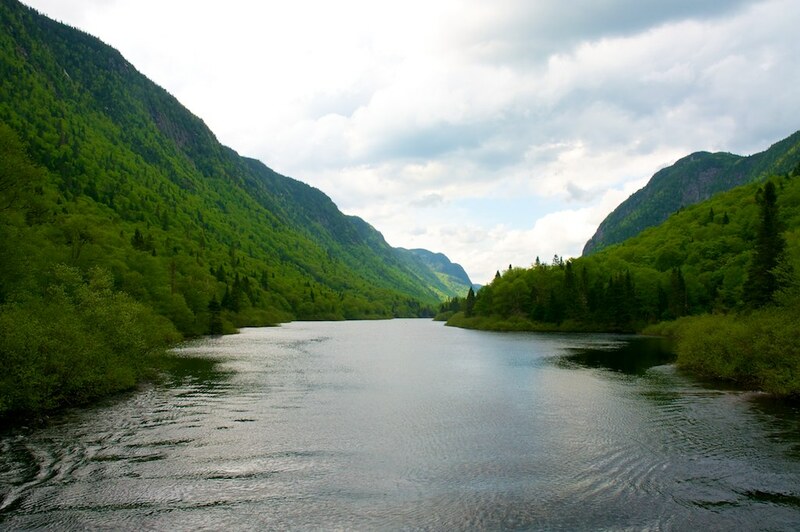 Despite the brothers’ insistence that their ancestral rights justified their activities in the park, all four were charged with violating sections 9 and 37 of the Québec Parks Act, which prohibited cutting trees, making fires and camping in undesignated areas. The Sioui brothers took their case to the Court of Sessions of the Peace in Québec in 1983. They argued that they had ​Indigenous rights​ to the territory in question. (See also ​Indigenous Territory​.) The court found that the Huron-Wendat, originally from Ontario, had no ancestral rights in Québec — a theory that Georges Sioui later set out to disprove in his book, Pour une autohistoire amérindienne (1989). Furthermore, the judge found that the brothers were not protected by any treaty that would permit them to use the land as they had. Consequently, the Sioui brothers were convicted of the charges laid against them. The four brothers appealed their case to the Superior Court of Québec in 1984. As evidence, they presented a document signed by ​General James Murray​ in 1760 that guaranteed the “free exercise of their religion, their customs and liberty of trading with the English” to the Huron-Wendat. (See also ​Murray Treaty of Longueuil 1760​.) At the time the document was signed, the Huron-Wendat were living in Lorette and made regular use of the lands that were to become Jacques-Cartier Park. This document, the brothers argued, was proof of a treaty between the Huron-Wendat people and the British Crown. Nevertheless, their argument was not convincing to the judge, and the court upheld the conviction. The Sioui brothers again appealed their case and headed to the Québec Court of Appeal in 1985. They presented the same evidence to the court. By a two-to-one majority, the court found that the document signed by General Murray was, in fact, a valid treaty that exempted the Huron-Wendat from certain provincial laws. However, the Sioui brothers were only vindicated for so long; the Province of Québec appealed the ruling to the ​Supreme Court of Canada​. On 24 May 1990, the Supreme Court handed down a unanimous ruling in the R. v. Sioui case that affirmed the decision of the Québec Court of Appeal. The 1760 document, the court ruled, constituted a treaty in the sense of section 88 of the ​Indian Act​, which extends provincial laws of “general application” (that is, laws that affect Indigenous and non-Indigenous people alike) to Status Indians living on reserve in the province. (See also Indian.) According to the court, the Huron-Wendat entered into this treaty with the understanding that it created mutually binding obligations between their people and the Crown. Furthermore, the treaty is still in effect and was not overturned by the passing of subsequent legislation, including the ​Royal Proclamation of 1763​ and the creation of Jacques-Cartier Park in 1895. Chief Justice Lamer held that the Crown’s occupation of the territory was subject to the rights and customs of the Huron-Wendat. While Jacques-Cartier Park is occupied by the Crown, the Huron-Wendat still have a right to practice their customs on the land. The activities of the Sioui brothers did not compromise the Crown’s occupation of the park. Justice Lamer added that “once a valid treaty is found to exist, that treaty must in turn be given a just, broad and liberal construction.” In other words, the courts must be liberal in their interpretation of treaties. Courts must deduce the true “spirit and intent” of the treaty from the Indigenous perspective as opposed to a literal reading of the text. The Sioui case changed the way that Indigenous treaties are interpreted in Canadian courts of law. It influenced future Indigenous rights cases in Canada, including R. v. Badger (1996), a case of a Cree man accused of hunting illegally, and R. v. Marshall (1999), a case of a Mi’kmaq man who was charged with fishing illegally. In these cases of treaty rights, the courts found that treaties are to be interpreted according to the “spirit and intent” of the treaties from the Indigenous perspective. Franklin S. Gertler and Peter W. Hutchins, “The Marriage of History and Law in R. v. Sioui,” Native Studies Review, Vol. 6, No. 2 (1990). Georges Sioui, Histories of Kanatha: Seen and Told. Essays and Discourses, 1991–2008 (2008).